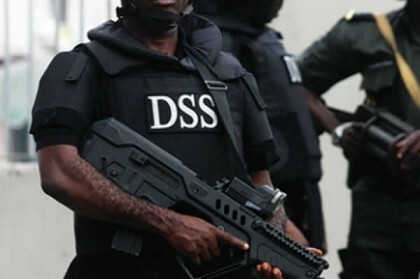 The Department of State Services (DSS) said it has re-arrested one Nasiru Sani, a top commander of the Boko Haram, who escaped from Bauchi Central Prison in October 2010 and hid in Maiduguri, Borno State. A statement by Tony Opuiyo a DSS official yesterday said Sani was arrested on 15th March 2017, at Ahmadu Bello Way, Bauchi. The DSS said it had also arrested several other high profile members of Boko Haram in special operations across the country. On 20th March, 2017, a suspected Boko Haram kingpin; Adenoyi Abdulsalam was arrested in Ado Ekiti, Ekiti State by a Joint Military/DSS operation team. He said an Ak-47 rifle was recovered from the suspect who is presently undergoing investigation, adding that Abdulsalam was on the final stages of kidnapping some high level targets in Ekiti, not only to raise funds but to terrorize communities in the State. The DSS said prior to this arrest, several other Boko Haram suspects had been apprehended in various parts of the North especially in Bauchi, Yobe, Gombe, Nasarawa, Kaduna and Kogi States. It said those arrested include; 29 year old Boko Haram member, Usman Ladan Rawa on 17th March 2017 at Lafia, Nasarawa State. The DSS also said; “on the same 13th March 2017, at Jeka-da-Fari Market, Gombe State, Adamu Jibrin was arrested, He operated under the pseudo name of Dantata Sule and served as a middleman for Boko Haram members and their commanders especially the one simply identified as Kanumbu.